What is a Director of Coaching and what are their responsibilities? Promoting participation in Youth Football is a huge part of what we're about at The Coaching Manual, so giving something back to grassroots makes us very proud, we just wish we could do more! The Director of Coaching (DOC) is one of the most important figures within a soccer club or association. They play a key role in defining and monitoring the coaching sessions delivered by potentially hundreds - or even thousands - of individual coaches. However, there is often confusion about the specifics of the position. What are the key responsibilities of a DOC? What does the day-to-day performance of the role entail? And what challenges do they face along the way? Read on to find out more. What is a Director of Coaching? Put simply, the job of a DOC is to build and develop a strong coaching team. This, in turn, will help individual coaches to get the most out of their players. This might sound straightforward in theory, but in reality the role is extremely challenging and requires a wealth of coaching and management experience. As a DOC, you'll likely come from a coaching background, with stints at youth, high school, college, and semi-professional levels, either in the US or Europe. 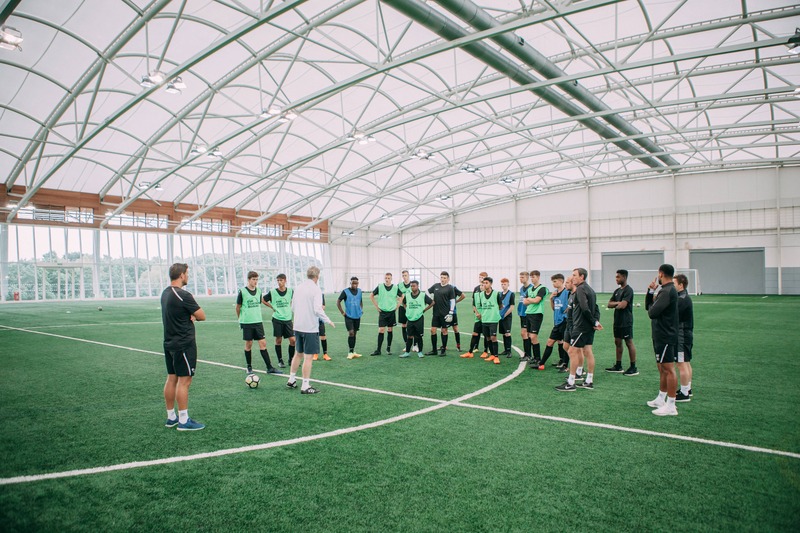 You'll also possess a well-rounded skill set, incorporating everything from performance management and recruitment, to outlining and reinforcing the culture and playing philosophy across a club or an entire association. All day-to-day coaching activities within the respective club or association fall within the remit of the DOC. 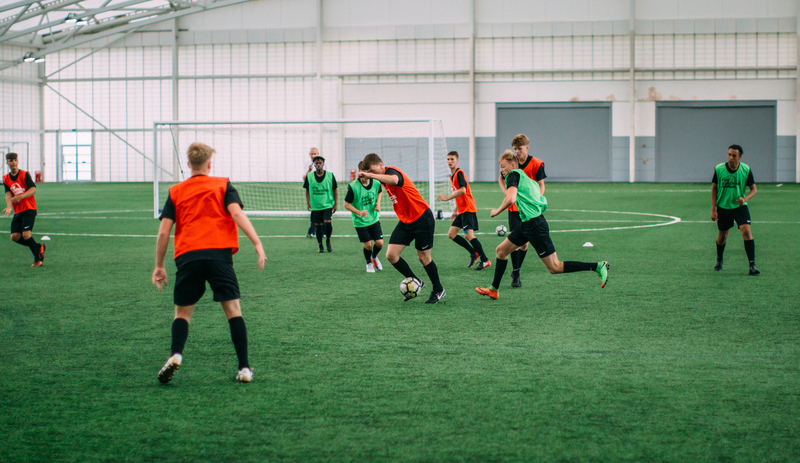 Individual coaches will deliver the specific sessions, but the DOC is responsible for creating the overarching training programme, setting objectives and reviewing performance. 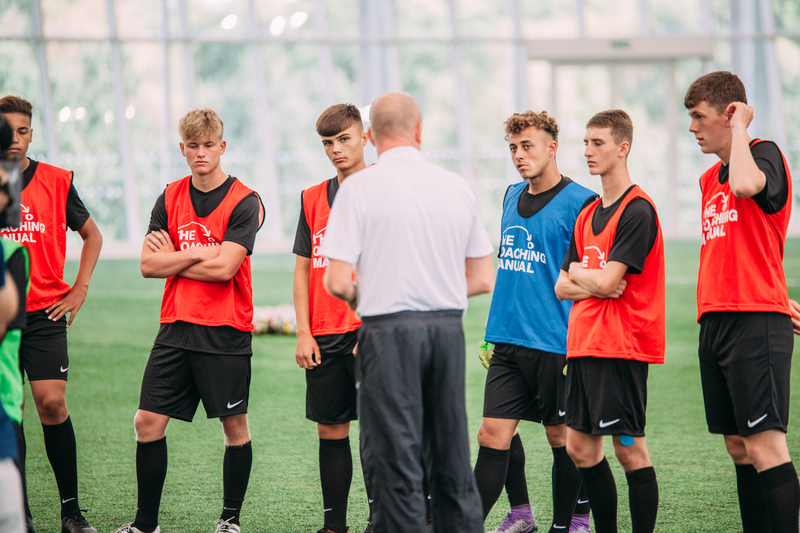 Coaches must be regularly evaluated to ensure they are leading sessions effectively - not just to win individual matches, but to ensure continued player improvement from one age group to the next. The DOC must have a hand in strategic planning and sporting direction, right down to the tactics and formations adopted by teams at all age levels. But the role goes above and beyond the "basics" of how training is delivered. You'll also have a key hand in defining the organisation's core culture and values. This requires the ability to consider the bigger picture, while also evaluating short-term performance metrics. How does their role fit within the hierarchy of a football club or governing body? While management and coaching structures will naturally vary from one club or association to another, the DOC typically answers to the Technical Director or an equivalent position, such as Director of Soccer Operations (DOSO) or, some cases, the Executive Director. They will lead a team of coaches - sometimes numbering in the thousands, depending on the size of the organisation. Who do they work with on a daily basis? What is a Director of Coaching trying to achieve at a soccer club? With responsibility for all day-to-day coaching operations, the DOC's ultimate goal is to ensure that players at all age levels are being coached consistently and effectively, in line with the organisation's overarching vision and philosophy. Without competent coaching and a positive learning environment, individual players are extremely unlikely to reach their full potential. Inevitably, not every DOC will inherit a fully formed, highly effective coaching team. The best DOCs are able to quickly identify the strengths and weaknesses of each coach within their setup to ensure they are being utilised effectively. Some coaches thrive in developing and motivating younger players, while others work best with older age groups. At the same time, the DOC must be aware of skill shortages within the coaching team. Identifying underutilised talents in existing coaches, while closing gaps by bringing in suitably qualified coaches from outside the organisation, is integral to building a high-performance coaching team with sufficient depth and breadth. What are the challenges a DOC will encounter? Perhaps the biggest challenge is the need to balance short-term performance with long-term strategic goals. Individual coaches naturally want their teams to be successful from game to game and season to season, but the DOC must also be mindful of the bigger picture. This challenge impacts every aspect of the DOC's job. There is little benefit to building a group of age-level teams employing different tactics and formations, even if each achieves success over the course of a one-off season. Players are unlikely to fulfil their potential if they are coached in a different style - and to a different philosophy - from one age group to the next. Consistency is key, but cannot be achieved without buy-in from coaches. The ultimate measure of a DOC's performance lies in the development of players across all age groups. Month-on-month and season-on-season improvements must be tracked, evaluated and reported to the Technical Director or DOSO. 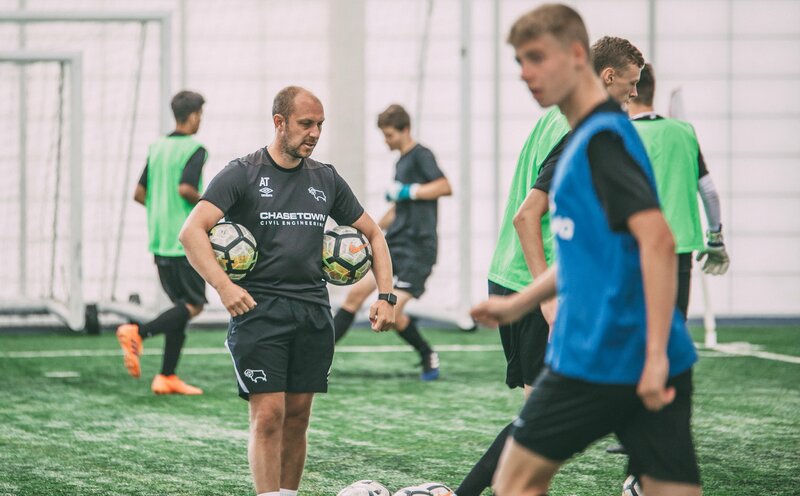 This requires a highly detailed coaching programme that looks far beyond the specific challenge of winning the next game, while being sufficiently nuanced to make it relevant to players at each age level. Coaches don't just exist to develop players - they want to improve and grow in the job too. The DOC must support their coaches by agreeing and implementing clear development plans with measurable objectives. Not only is this vital to ensuring that players get the best coaching, it's also essential from a staff retention perspective. Talented coaches are unlikely to stick around unless they are developing professionally. The culture of a club or association is far easier to define than it is to implement. The DOC must be a champion of the core values and ethos, while also ensuring that their coaches do the same. Even the most talented coaches can't successfully instill an organisational philosophy if they don't believe in it - or fully understand it - themselves. When it comes to establishing cultural values, sporting success is not the only consideration. Of equal importance is the need to forge a positive culture, in which players and coaches are able to access effective support networks. And it's easy to overlook the fact that, for younger age level players, soccer should be fun. Failure to address this can lead to a loss of love for the game that's often hard to recapture. How can Directors of Coaching benefit from The Coaching Manual? At the click of a button, you can share session plans, schedules and outputs across your coaching team. That means fewer logistical headaches, and more time spent on the things that really make a difference. 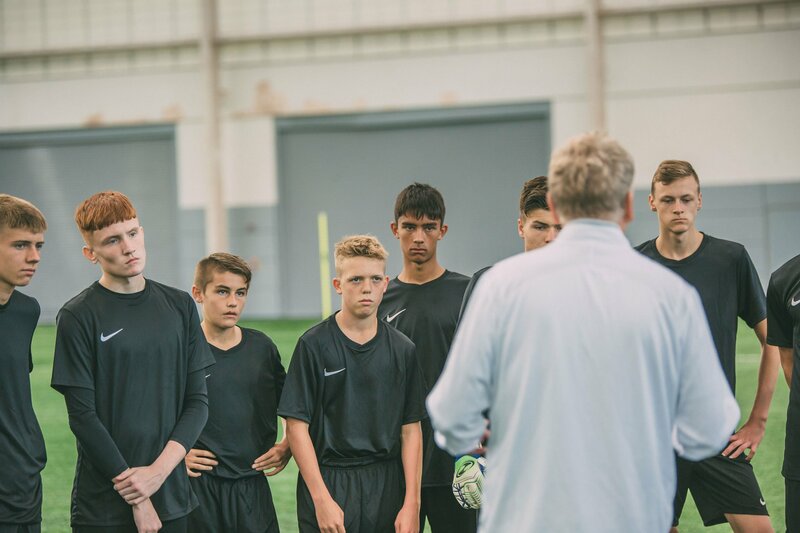 With the ability to develop and distribute age-specific sessions, you can be confident that your coaches are delivering the right training in the right way. The Coaching Manual allows you to pause, rewind and replay the delivery of specific coaching points, giving you the confidence that key messages are being communicated effectively. Our unique Season Planning tool makes it quicker and easier to build a year-long curriculum for your entire coaching team. Structured training programmes, with logical progression throughout the season, are proven to enhance team performance. Enjoy a wealth of premium resources, incorporating tried-and-tested ideas and solutions for high-quality training sessions. You'll gain at-your-fingertips access to a wealth of material, covering everything from regular and pre-season training to tactics, strategy and formations. The Coaching Manual puts a powerful digital coaching assistant in the palm of your coaches hand, wherever they are. Visit our Help Centre to find the best way of contacting us and we'll be happy to help. © Copyright The Coaching Manual, 2019 All Rights Reserved.